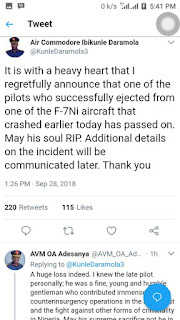 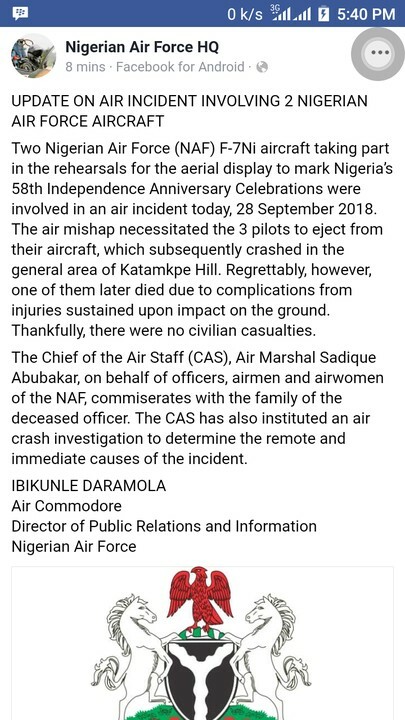 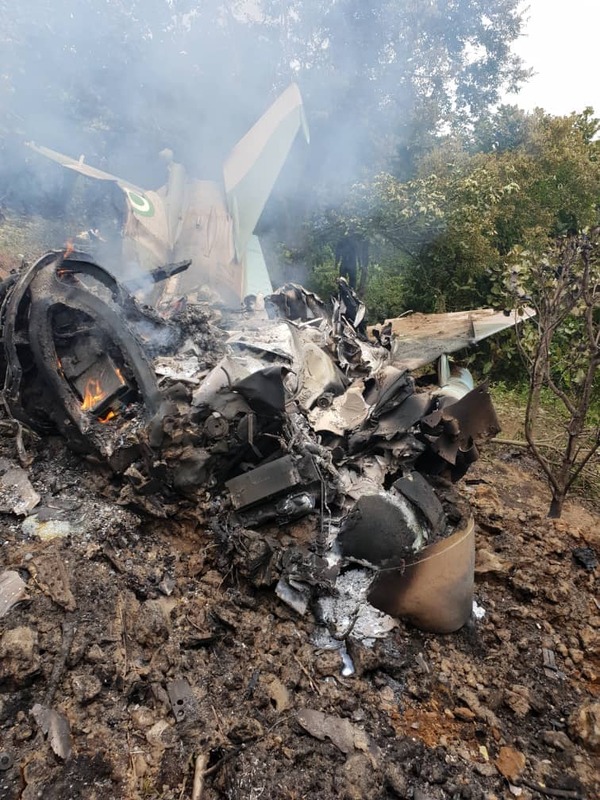 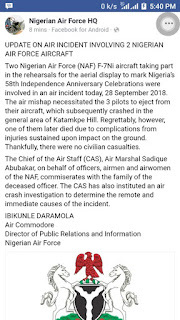 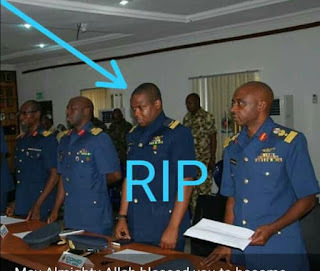 Two F -7 aircrafts crashed this morning when they were practicing for the October 1st Independence day. 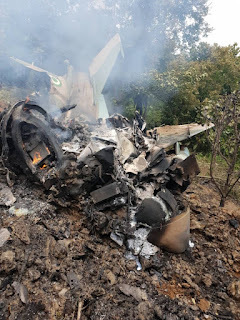 Two F- 7 pilots Flt Lieutenant Ambi and Flt lieutenant Abutuba Survived because they managed to eject before the aircraft went down. Unfortunately Squardron Leader Babaari died in the crash..